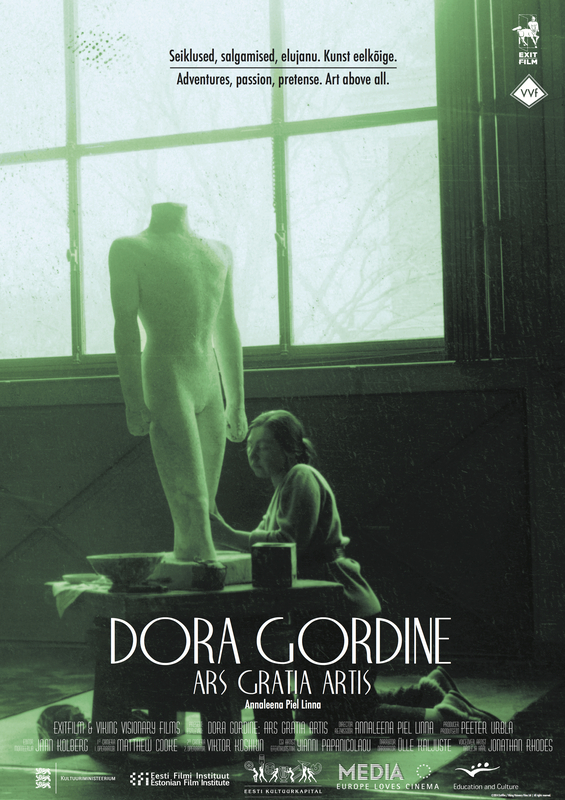 First-ever documentary about Dora Gordine, an elusive, yet crucial figure in the history of sculpture. Lauded by the critics as the world’s most talented female sculptor in the mid-1920s, as well a pioneer of Oriental exoticism, the “Girl Wonder” was to continue her steady rise well beyond her contemporaries, having one of her statues unveiled in 1963 by Queen Elizabeth II herself. Until recently, little has been known about the origins of this enigmatic woman, owing much to her constant efforts to hide, alter and even blatantly lie about her past. Born in Latvia, raised and trained in Estonia, rising to fame in Paris, Gordine worked herself into art history books in the Far East, finally settling in London – there was no stopping this insatiable spirit. Disowning her family and cutting all ties with her Jewish past, Gordine manipulated her way into the English aristocracy via a marriage of convenience to the son of an Earl. 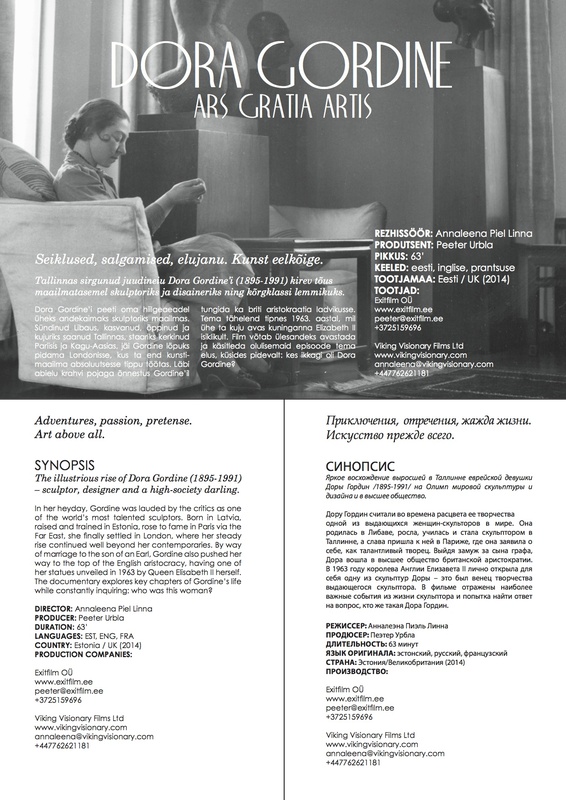 Both gay, the pair became the leading collectors of Russian objéts d’art in Europe, while Gordine immortalized in bronze every high society figure and movie star who crossed her path. The documentary explores her masterfully choreographed life through its dramatic lows and decadent highs, unearthing shocking secrets and shedding light on truly glorious art.